Stocks fell Thursday after the Fed raised interest rates for a ninth straight time and said it would keep to its policy of bumping up rates at a "measured" pace. CNOOC Ltd. will press ahead with its takeover bid for Unocal Corp. despite a planned shareholder vote on a competing offer by Chevron Corp., the Chinese company's chairman said Thursday. Personal income growth slowed in May, people's spending didn't increase, and the number of Americans filing new claims for unemployment benefits fell last week, the government reported Thursday. Discount retailer 99 Cents Only Stores reported a 43 percent drop in its fiscal fourth-quarter profit because of lackluster sales in Texas and a large payment for its workers' compensation reserves. Bank of America Corp. on Thursday said it will acquire MBNA Corp. in a $35 billion cash and stock deal that will transform the nation's third-largest bank into the world's largest credit card issuer. Pricewaterhouse Coopers agreed to pay $17.5 million to settle a class-action lawsuit alleging it neglected its responsibilities in failing to catch rampant accounting irregularities at Homestore.com in 2000 and 2002. Amid a robust takeover battle that pits Chevron Corp against CNOOC Ltd., Unocal Corp. on Thursday said it expects second-quarter earnings to meet or exceed Wall Street projections due to record-high oil prices. Boeing Co., which has searched for a new leader since its chief executive was forced out in March over an affair, on Thursday named 3M Co. Chief Executive W. James McNerney as its new CEO. The Federal Reserve, keeping a watchful eye on the impact of surging oil prices, raised a key interest rate by another quarter-point on Thursday. Oil prices fell below $57 a barrel on Thursday, extending a steep sell-off from record highs after an unexpected rise in U.S. crude stockpiles. Countrywide Financial Corp. said Thursday it has agreed to buy almost all of the assets of KB Home's mortgage business, KB Home Mortgage Co. Terms of the deal were not disclosed. The operator of Los Angeles International Airport improved the way it awards contracts but has a policy in which "ambiguity still rules the day," said an audit released Wednesday by City Controller Laura Chick. Kaiser Aluminum Corp. filed a reorganization plan on Wednesday that projects emergence from Chapter 11 bankruptcy protection in the fourth quarter. Standard & Poor's cut the debt ratings of Kroger Co., Safeway Corp. and Albertson's Inc., citing competition from other retailers and the effects of a recent labor dispute in Southern California. Calpine Corp. said on Wednesday that it plans to sell all of its domestic oil and gas exploration and production assets for $1.05 billion. As Unocal directors consider whether to recommend CNOOC's $18.5 billion bid to its shareholders, some analysts said they expect rival Chevron to come back to the table with a higher offer. Applications for U.S. home mortgages fell for a second week despite a drop in the 30-year mortgage rate to a 15-month low, an industry group said on Wednesday. DirecTV Group Inc. is accusing a programming group owned by three cable companies of an illegal pricing scheme aimed at hurting its business, The Wall Street Journal reported. Oil prices fell by almost $1 a barrel Wednesday after the U.S. government released data that showed domestic supplies of oil, gasoline and distillate fuel rose last week. Sales of existing single-family homes in California will reach a record in 2005, driven by lower-than-expected mortgage interest rates, according to the California Association of Realtors' mid-year forecast. New-home building and strong exports helped the U.S. economy expand at a 3.8 percent annual rate in the first quarter, the Commerce Department said on Wednesday. Anxiety surrounding the upcoming Fed's decision on interest rates sent stocks lower, overshadowing an increase in U.S. oil inventories and a solid advance in the gross domestic product. Record high oil prices are taking their toll on the U.S. economy, but not enough to halt or reverse the recovery, U.S. Treasury Secretary John Snow said Tuesday. The controlling shareholder of William Lyon Homes announced Tuesday that he was withdrawing his proposal to take the company private, a week after a special committee called his offer "inadequate." CNOOC executives began selling the company's $18.5 billion bid in meetings with Unocal Corp., urging directors to accept the cash offer and seeking to defuse political concerns. Sun Microsystems Inc. said Tuesday it will acquire SeeBeyond Technology Corp. for $387 million, sending shares of the Monrovia-based provider of business-integration software surging 31 percent. Summa Industries releases quarterly results, Jakks Pacific signs a licensing agreement to produce toys based on the children's educational TV series Hi-5, and other briefs about L.A. companies. U.S. consumer confidence, which improved in May, rose further in June to a three-year high, a report said on Tuesday. Advanced Micro Devices Inc. filed an antitrust lawsuit against Intel Corp., accusing its competitor of forcing customers into exclusive deals to keep them from buying AMD microprocessors. Stocks rallied back on Tuesday as crude oil prices fell more than $2 a barrel and consumer confidence jumped to a three-year high. Oil prices dipped below $60 a barrel Tuesday on supply fears and concerns over the election of a hard-line president in Iran, the fourth-largest crude producer. Jurors acquitted HealthSouth Corp. founder and ex-CEO Richard Scrushy on Tuesday of all charges related to a $2.7 billion earnings overstatement at the chain of medical-service centers. Luxury market magazine publisher CurtCo Publishing has purchased the assets of San Diego Magazine Publishing Co., owner of San Diego Magazine. Financial details were not released. The Venice Interactive Community is coming back to life in a more subdued form than its previous incarnation. An overview of four high-profile hotel restaurants that have undergone major makeovers. Hollywood Park's prospective buyers spent the past year working their way to the inside track. Maria Elena Durazo discusses the death of her husband Miguel Contreras and the recent victory of hotel workers in a long-running contract dispute. An L.A. Superior Court judge has refused to throw out a breach-of-contract suit filed by billionaire Ron Burkle against agent Michael Ovitz, but told the supermarket magnate to tone down his "personal attacks" in court papers. Should union members have the ability to stop their dues from being used for political causes? That's at the center of what's expected to be one of the most heated battles in the November special election. CNOOC's CEO wrote in a letter to Congress Monday that the company is eager to have the U.S. government scrutinize the national security implications of its $18.5 billion offer for Unocal Corp. Scrap those minis full-bodied peasant skirts are the must-have for the summer and local apparel manufacturers and retailers are rushing to keep up with the trend. Stocks barely budged Monday as Wall Street steadied itself after last week's losses and waited for the Federal Reserve's meeting on interest rates. Honda Motor Co. has made it clear that it intends to retake the lead in sales of gas-electric cars from Toyota Motor Co.'s Prius. Are business schools turning out a glut of property professionals who might not be able to continue their careers if the bubble bursts? ValueClick Inc. on Monday raised earnings and revenue forecasts after completing the acquisitions of Web Marketing Holdings Inc. and E-Babylon Inc.
Hollywood studios praised Monday's Supreme Court decision that Grokster and L.A.-based StreamCast Networks could be liable for copyright infringement if users illegally trade copyrighted material. With oil topping $60 a barrel, gas prices in the L.A. area rose for the second straight week since mid-April, according to the Energy Information Administration. When faced with ethical challenges, employees need to be motivated to follow the ethical course. Developers across the country were encouraged last week when the U.S. Supreme Court narrowly ruled that municipalities can forcibly take private property for economic development projects. Local broadcast executives are bracing for a multi-million dollar windfall of ads, courtesy of hot topics on the November ballot. The newly appointed president of City National Bank, Christopher J. Warmuth, is determined to make relationships and customer service a primary focus of the bank. UCLA economists believe that the burst of the housing bubble could result in a recession. When Dave Rainer decided to open his own bank, he hoped to raise $25 million in a private offering. He was shocked when investors lined up to pour money into the new Encino-based California United Bank. HealthSouth Corp. restated financial results for 2000 and 2001 in its long-awaited 10-K filed on Monday as the rehabilitation services provider works to recover from an accounting scandal. CNOOC Ltd.'s unsolicited bid for Unocal Corp. raised a political outcry. But it's likely to be followed by other offers from overseas. Stockbroker Rafi Kahn has filed a second suit against Intermix Media Inc.
Oil prices settled at a record high above $60 a barrel on Monday amid concerns that supplies would not meet U.S. demand. Can Fancy Pants Denim Brands Get Men to Follow the Women? Local manufacturers of high-end jeans are expanding new lines that they hope will appeal to male consumers. Univision and Telemundo plan to launch late-night variety shows to replace a mishmash of programming in the formerly neglected midnight slot. Marla Bradley, chief executive of the L.A.-based consulting firm Bradley/Lambert Inc., said there are two possible scenarios involved in termination, and she explained how each should be handled. After two decades of failed attempts, the first light rail line from downtown to L.A.'s Westside could begin construction this fall. A look at how three properties the Herald Examiner building, Hollywood & Vine Plaza and the Los Angeles Air Force Base are being developed. Consolidation in Hollywood has opened up opportunities for larger law firms. When David Houston and Avi Fattal took over Barney's Beanery, they thought they'd have to make some changes. But the more things stayed the same, the better they did. Antonio Villaraigosa is set to take office as the 41st mayor of L.A. this week during a string of inauguration festivities and private donors, many of them with business ties to the city, are picking up the tab. Commercial real estate often brings with it six-figure incomes, but at the entry level, you can forget about the luxury cars. Veterans say the new generation will have to embrace the values of its predecessors. Stocks ended slightly lower on Monday as Wall Street began to right itself after last week's losses, but investors largely shrugged off record high oil prices that weighed on the markets. They're a hardworking but impatient bunch, as these 20 developers, agents and architects describe themselves in a Business Journal survey. Los Angeles has its share of young high-fliers who have used tenacity, energy, quick wits and an element of luck to score big in what's always a cutthroat market. Business Briefs: Hi-Shear Technology Corp., Semtech Corp.
Hi-Shear Technology Corp. receives a $3.5 million contract to make analog recovery sequencers for the Navy and Semtech Corp. completes its acquisition of Swiss-based Xemics SA. Sales of new homes in May climbed to the second highest level in history, and orders to U.S. factories for durable goods rose at the fastest pace in 14 months, the government said Friday. The private equity firm that unexpectedly emerged as the lead bidder for Hollywood Park first proposed buying the racetrack last year, long before owner Churchill Downs Inc. formally sought buyers. Citigroup will swap most of its asset-management business in exchange for the broker-dealer business of Legg Mason, as well as Legg Mason stock and a loan to the financial-services firm. The head of Chinese oil company CNOOC made a case for its $18.5 billion cash bid for El Segundo-based Unocal Corp., and said he would be willing to sell some U.S. assets. The nine-week decline in L.A. gas prices has ended and prices are heading back up, reflecting a sharp jump in crude futures, said the Automobile Club of Southern California. The high-end gym operator has been hit with a notice from the American Stock Exchange, warning that it may delist the company for not filing its latest annual and quarterly reports. The Angels and the city of Anaheim are awaiting a key appeals court decision due Monday on owner Arte Moreno's name change of the baseball team. Crude oil futures settled at a record near $60 a barrel Friday as prices rose on speculative buying and fears of supply disruptions due to refinery glitches. Citing a need to focus more on his business activities, developer Rick Caruso resigned today from the Los Angeles Board of Police Commissioners. The resignation is effective July 1. The Dow Jones Industrial Average weathered its second straight loss of more than 100 points on Friday as investors became pessimistic about the impact of oil prices near $60 a barrel. Sales of existing homes slowed slightly in May but still came in at the second-highest level on record with home prices hitting an all-time high. Stocks lost substantial ground Thursday, as crude oil futures briefly rose to $60 a barrel for the first time, stoking anxieties about the drag on the economy by rising energy prices. General Electric Co. on Thursday said it is streamlining its businesses to six units from 11 to cut costs, and it affirmed its second-quarter and full-year profit forecast. Oil prices surged on Thursday, briefly touching a record $60 a barrel as dealers worried that continued strong demand growth would strain global production capacity. The amount of hedge-fund money flowing into public companies has skyrocketed in the past year, thanks to a financing mechanism known as "private investment in public equity." In a new audit, City Controller Laura Chick criticized officials at the Port of Los Angeles for slow progress in cleaning up port leasing policies. Harbor Commission President Nicholas Tonsich responded that Chick was "unqualified." The number of Americans filing new applications for unemployment benefits fell last week, signaling that job growth should remain strong in the months ahead. Maguire Properties, Inc. strikes a deal for two new leases totaling 270,000 square feet in Irvine, Hilton Hotels Corp. sells two of its hotels, and other briefs about L.A. companies. Applications for U.S. home mortgages fell last week due to a decline in purchasing and refinancing as mortgage rates rose slightly, an industry group said Wednesday. Stocks ended mixed Wednesday as disappointing earnings from Morgan Stanley and a profit warning from Ford eclipsed a slight drop in crude-oil prices. Less congestion is expected at the Ports of Los Angeles and Long Beach during this summer's peak shipping season, but a potential shortage of port truck drivers could lead to problems. CNOOC Ltd.'s offer late Wednesday to buy Unocal for $18.5 billion puts pressure on Chevron to up its $16.6 billion offer and sets up a showdown between U.S. politicians over whether Chinese-owned CNOOC ought to be able to purchase Unocal. Oil prices traded lower on Wednesday after the U.S. government released data showing a decline in crude inventories but a build in gasoline and distillate fuels. Profit at Morgan Stanley fell in the second quarter, the company said Wednesday, due to market conditions and higher legal expenses in connection with lawsuits. Mattel Inc. announced Wednesday it has teamed up with Clear Channel Entertainment Productions to stage a live-action Barbie musical tour based on characters from a popular direct-to-video movie. Oil prices dipped from record highs on Tuesday but stayed close to $59 on global supply fears as the market once more brushed aside an OPEC pledge to add barrels. The end of an inflated housing market will likely lead to a recession after April 2006 that hits hard in Southern California, according to the quarterly UCLA Anderson Forecast. A special committee formed by William Lyon Homes said that an offer by the homebuilder's controlling shareholder and chairman to take the company private is "inadequate." U.S. chain store sales rose in the third week of June, as Father's Day, graduations and warmer weather drove sales, a report said on Tuesday. Haier Group and private equity firms Bain Capital and Blackstone Group have bid $1.28 billion for Maytag Corp., topping Ripplewood Holdings LLC's offer for the U.S. washer maker. AMC Entertainment Inc. and Loews Cineplex Entertainment Corp. said Tuesday they plan to merge, and will be led by AMC Chief Executive Peter Brown. The Nasdaq got a lift on Tuesday from semiconductor shares that gained on a brokerage upgrade, but near-record oil prices weighed down the Dow and the Standard & Poor's 500. ValueClick raises its earnings outlook, Gamma Medica combines its operations with Ideas ASA, and HCL Inglewood Village gets a $25.3 million construction loan from GMAC Commercial Mortgage Corp.
China National Offshore Oil Corp. reportedly may bid nearly $20 billion in cash for Unocal Corp. sometime this week, trumping Chevron Corp.'s $16 billion stock-and-cash offer made on April 4. While the wife as breadwinner, and husband as "daily dad" may not be for everyone, it's a lifestyle choice whose time has come. Northrop Grumman's plan to team up with the European parent of Airbus carries the potential for real gains along with major risks. Oil prices hit a new intraday high near $60 a barrel even as the president of OPEC said Monday the group will consider raising its output ceiling by 500,000 barrels as early as this week. Stockbridge Capital Partners, owner of Bay Meadows racetrack in San Mateo, has emerged as the leading candidate to acquire Hollywood Park with a bid of about $275 million. American Reprographics Co., the low-profile company that sells architectural drawing software and services, is looking to take advantage of new technology. A series of unexpected political events has created two openings on the L.A. City Council, and several vacancies in other chambers could materialize before the year is out. The Hollywood-based catering arm of Wolfgang Puck's food enterprise has recently added the Griffith Park Observatory, Walker Art Center in Minneapolis and the Indianapolis Museum of Art to its list of clients. Two U.S. congressmen asked the Bush administration to review and potentially block any effort by China's CNOOC Ltd. to acquire Unocal Corp., The Wall Street Journal reported. Warner Bros. Entertainment Inc. has sued a New York ad agency, alleging that the firm withheld newly made videotapes of Tyra Banks. George Lutz, whose family's stay in a Long Island house was the basis for the "The Amityville Horror," has filed a libel suit against the producers of this year's profitable remake of the classic horror picture. Radio stations, already facing slow growth, are now figuring out how they can compete with non-stop music offered by iPods. Cablevision Systems Corp.'s controlling shareholders on Monday offered to take the cable operator private in a $7.9 billion deal that would also spin off its cable networks and sports team businesses. Broadcom Chairman Henry Samueli completes the purchase of the Mighty Ducks from Walt Disney Co., International Aluminum Corp. names a new CEO, and other briefs about L.A. companies. In the latest of an ongoing series of departures, the L.A. office of Akin Gump has lost two key partners in recent weeks. The developers of a proposed convention center hotel are getting a little less public support to get the project off the ground. Many top-level FBI supervisors and agents have retired early in L.A., where housing prices and the cost of living make it more challenging for the FBI to retain both agents and managers. When SBC slashed its price for DSL Internet service to $14.95 per month, investors knew United Online Inc. was in trouble; the Woodland Hills-based company now has to prove it has a future. Mike Dunkel, a broker for Sunbelt Business Brokers of Southern California, said that deciding to sell a small business is the first step in a complex process. Search engines are all the rage but the technology behind them has made it difficult for local companies to stand out from the crowd. That may be changing. A closely watched gauge of future business activity fell in May, a private research group announced Monday. It only took two weeks of picket lines for drivers, bottlers and warehouse workers to reach an agreement with the nation's largest Coca-Cola bottling operation. How did they do it? For all the negative attention L.A.'s paparazzi have received in recent weeks, here's the truth about the incessant photographing of celebrities: It actually helps many local merchants. Viacom's MTV Networks has acquired Glendale-based NeoPets Inc., owner of the teen site NeoPets.com., for an undisclosed sum, though the deal has been pegged at $160 million in news reports. L.A.-area gas prices rose by about 3 cents a gallon in the past week, the first weekly rise since mid-April, according to the Energy Information Administration. Adelphia founder John Rigas was sentenced Monday to 15 years in prison for his role in the looting and debt-hiding scandal that bankrupted the cable company. Sherri Milligan was offered $60,000 for a film shoot at her house. Thus was born her business, Sunset Locations, where she markets mansions to production companies. John McKay has been involved in sports as a player, manager, and attorney, and he brings that expertise to his new post at Jeffer Mangels Butler & Marmaro LLP. Stocks ended the day slightly lower on Monday as investors appeared to take in stride oil prices that closed at a record high near $60 per barrel. 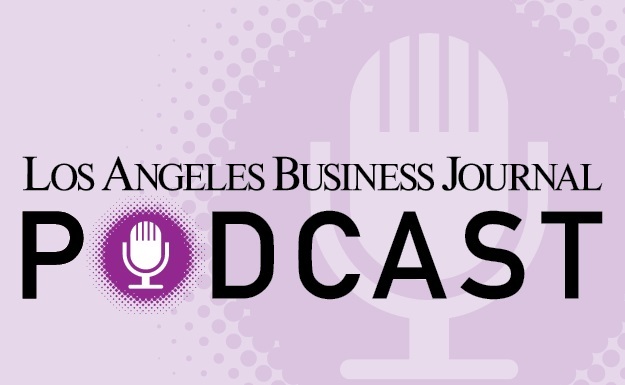 The Business Journal was recognized by the Alliance of Area Business Publications and the Los Angeles Press Club. Antonio Villaraigosa may have played a key role in the settlement of a hotel contract battle, but business leaders say he will keep the city's interest above his loyalty to labor. Semiconductors were quite the spectacle in May. Could this be the start of a bigger tech rally? Besides reintroducing its taco-in-a-cone concept, Flavor Firm is broadening Tacone's menu offerings in a bid for a bigger bite of the fast-casual sector. Sung Won Sohn wants to diversify Hanmi Financial Corp.'s activity beyond the Korean community and real estate lending. China National Offshore Oil Corp. moved closer to making a counter-offer to trump Chevron Corp.'s $16 billion bid for Unocal, the Financial Times reported. L.A. Mayor-elect Antonio Villaraigosa made several high-level appointments on Friday, including veteran City Hall aide Robin Kramer as his chief of staff. Stocks ended higher on Friday, as investors cheered a jump in consumer confidence and shrugged off concerns over soaring oil prices and a rising trade deficit. The deficit in the broadest measure of international trade rose to an all-time high January through March of this year as the U.S. sank deep into debt to Japan, China and other nations. Crude oil prices surged to a record above $58 a barrel Friday on fears of insufficient gasoline supplies during the high-demand U.S. summer driving season. Bank of America said it would pay $3 billion for a 9 percent stake in China Construction Bank, the largest single foreign investment in China's banking sector. Gas prices in L.A. and much of Southern California dipped the past week, but the nine-week decline is likely ending as the summer driving season kicks off, said the Automobile Club of Southern California. Stocks moved higher Friday, boosted by stronger-than-expected consumer sentiment in early June as higher oil prices lifted energy shares. L.A. County's unemployment rate inched up in May to 5.8 percent, even as employers added more workers to their payrolls, the California Employment Development Department reported Friday. L. Dennis Kozlowski and Mark H. Swartz, accused of looting hundreds of millions of dollars from Tyco International Ltd., were convicted Friday of grand larceny and other charges. Unionized workers at nine major L.A. hotels ratified a new contract that puts an end to a 14-month dispute and aligns expiration dates in 2006 with other union locals around the country. Surfwear maker Volcom Inc. on Thursday took a step closer to going public by pricing its shares at $15 to $17. The company expects to raise between $63 million and $71 million. KB Home on Thursday said its quarterly profit rose 78 percent, boosted by higher sales and improved margins in its homebuilding business. The L.A.-based company also raised its earnings guidance. The National Hockey League's Board of Governors approved Walt Disney Co.'s sale of the Mighty Ducks of Anaheim to Broadcom Corp. Chairman Henry Samueli and his wife, Susan. Summit Commercial Properties and its parent Highridge Partners, both of El Segundo, sold the 900,000-square-foot Kaiser Center in Oakland to Swig Co. for a reported $200 million. Stocks ended higher for the fourth straight day Thursday after lukewarm housing starts and jobless claims reports didn't give investors much direction about the economy. Pfizer Inc. agreed on Thursday to acquire biopharmaceutical company Vicuron Pharmaceuticals Inc. for $1.9 billion in cash, the companies announced. A partnership led by Tishman Speyer Properties Inc. has struck a deal to sell its 473,000-square-foot, 32-story Tower Burbank for $167 million. Oil rose to a two-month high on Thursday, paced by a rally in gasoline as dealers focused on rising demand for fuels and a lack of new refineries to push up production. U.S. housing starts rose in May, but fell shy of expectations, while a report on Thursday showed the number of Americans filing new claims for unemployment benefits edged higher. Business Briefs: Chad Therapeutics, Image Entertainment, CarsDirect, Computer Sciences Corp.
Chad Therapeutics Inc. and Image Entertainment Inc. release fourth-quarter results, CarsDirect selects Internet Brands, Inc. as its new parent company name, and other briefs about L.A. companies. Stocks were little changed Thursday as tepid housing start and jobless claims reports gave investors few clues about direction of the economy and interest rates. National Lampoon Inc. releases third quarter results, Capstone Turbine Corp. says it can't file its annual report on time and asks for a 15-day extension, and other briefs about L.A. companies. PR executive Mike Sitrick is suing two financial institutions to recover $6.5 million in investments he made on behalf of his family's trust, alleging the full risks of the portfolios were hidden. Napster and Ericsson announced Wednesday they are launching a digital music service for mobile phones, a move seen as an effort to cut down Apple's dominance in the online music arena. Oil prices rose Wednesday after OPEC's decision to boost its output target and a government report showed domestic supplies shrank last week amid higher demand. Stocks eked out a third day of gains as the Fed's Beige Book data soothed inflation worries. Surging oil prices had kept the major indexes down for most of the day. Deephaven Capital Management filed with regulators on Wednesday to solicit shareholder votes opposing Verizon's $8.4 billion acquisition of MCI. Viacom Inc. has approved a plan to separate itself into a company centered on broadcast TV and another one built around cable networks. IHOP Corp. signed a deal with Wayport Inc. to provide wireless Internet access in select restaurants in 21 states. Financial terms were not disclosed. Consumer prices fell 0.1 percent in May, the first decline in 10 months, as energy prices retreated after a big run-up in the previous three months. Wholesale prices fell 0.6 percent in May, the biggest decline in more than two years, and retail sales slipped by 0.5 percent, the first decline in nine months. Stocks ended slightly higher for a second straight day Tuesday after the government released mixed economic data and Best Buy Co. Inc. reported a huge jump in quarterly profit. Intermix Media Inc. agreed to pay $7.5 million to the State of New York to settle a lawsuit brought by Attorney General Eliot Spitzer accusing the company of peddling spyware. A lawsuit filed by former Walt Disney Co. director Roy Disney that seeks to void the company's last board election will go to trial Aug. 10. Tracinda completes its purchase of General Motors Corp. shares, nearly 34,000 scooters and mini-bikes made by Mattel's Fisher-Price are recalled, and other briefs about L.A. companies. U.S. chain store retail sales rose in the latest week, helped by warmer weather in the eastern United States, a retail report said on Tuesday. Phil Jackson, who coached the L.A. Lakers to three world champions in five seasons, was rehired Tuesday by owner Jerry Buss, just a year after pushing Jackson into retirement. Hotel owner Wyndham International Inc. on Tuesday said it will be bought by private equity firm Blackstone Group in a deal it valued at $3.2 billion. Phil Jackson is back as coach of the Los Angeles Lakers, whom he guided to four Finals appearances in five seasons, the Associated Press reported. With its clout and credibility at stake, OPEC leaders said Tuesday they will attempt to lower soaring oil prices by raising the cartel's production target. Toymaker Jakks Pacific Inc. said Tuesday that it acquired a line of pet toys through the Pet Pal Corp. from an unnamed privately held seller. Financial terms of the transaction were not disclosed. Richard Garcia, who has handled some of the FBI's highest-profile cases, is retiring after a year and a half as the Los Angeles bureau chief. An all-comedy radio network has sued its former founder over financial problems, claiming he left to start a new business and negotiate a venture with National Lampoon Inc.
Morgan Stanley Chairman and CEO Philip J. Purcell, acknowledging that calls for his ouster have hurt the investment firm, said Monday he will retire as soon as a successor can be found. Several construction projects are under way in a wave of development that will transform the area by adding many new businesses and residences. They're affluent. They're well educated. They're populous. And they listen to the radio a lot. Those are the findings of a study of L.A.'s Chinese radio market. Some Staples luxury box holders got reimbursed for the lost hockey season, depending on whether they signed extensions of their original contract. Dad was a broad-shouldered, blue-collar guy, a six-footer with a Brooklyn accent. I still get a kick out of thinking of him learning the art and science of fragrances. When you're at the office, you've always called IT. Now, when you're at home, retailers send a "geek" to find the glitch in your computer or your flat-screen TV. Local businesspeople entertain their guests all sorts of ways, from a game at Dodger Stadium to a beach bike ride. Driveway paving stones has led to a comeback for Terry Morrill, who was wiped out by the 1990s real estate bust. California voters will be asked Nov. 8 to make decisions on eight proposals, including three from the governor on legislative redistricting, the budget and teacher tenure. Babette Heimbuch has a theory on who will bear the brunt of a real estate downturn, if it comes: It will be borrowers who stretched themselves thin to purchase multi-million-dollar homes. A partnership led by Tishman Speyer Properties Inc. has struck a deal to sell its 32-story Tower Burbank for $167 million. A subjective evaluation of some of the best Los Angeles has to offer on a business trip, from wonderful workouts to potent potables. KPWR-FM has filed suit over KLOX-FM's lease for use of an antenna owned by its corporate parent. Mark E. Robinson, corporate managing director of Studley, a national commercial real estate firm specializing in tenant representation and advisory services, discusses the key phases of selecting office space and signing a lease. Real estate investors are showing tentative signs of getting out or at least lightening up on assets deemed vulnerable to a market drop, even as prices continue to rise. It's not your fault if the 405 is backed up or the hotel is overbooked, but any business experience good or bad could reflect on the host. So what can you do to make sure your clients enjoy their trip? Scott Johnson and William Fain have moved from designing office towers to mixed-use projects, with skyscrapers rare and urban complexes everywhere. Joining the trend of lower-priced hotels that retain a stylish veneer, a San Francisco-based operator of boutique hotels is transforming the 211-room Holiday Inn Brentwood/Bel Air. Los Angeles-area gas prices continued slipping, falling nearly 4 cents a gallon last week, according to the Energy Information Administration. Stocks ended higher on Monday, as investors weighed the departure of Morgan Stanley CEO Phil Purcell against surging oil prices. With Craigslist.org and other Web sites siphoning classified ads from newspapers, the L.A. Times is coming up with new Web sites and a planned revamp of classified ads on latimes.com. OPEC is expected to raise its daily output quota by 500,000 barrels when it meets Wednesday, though the move should have little impact on oil prices. A study shows that more than a quarter of L.A.-area hospitals have limited access to capital, while even the best performing facilities are overleveraged. The ports have boosted security, but cargo theft remains a big problem, with trucks vulnerable after leaving the terminals. In California's largest retail center transaction this year, the Promenade at Howard Hughes is being sold. PR executive Mike Sitrick has filed a lawsuit over investment losses, alleging the full risks of the portfolios were hidden. ValueClick Inc. said Monday that it agreed to buy privately held companies Web Marketing Holdings Inc. and E-Babylon Inc. in cash and stock deals worth nearly $156 million. Shares of MannKind Corp. tumbled today after an analyst downgraded the company over several concerns, including a recent lawsuit accusing it of making false statements to the FDA. News Corp. on Monday said it planned to buy back up to $3 billion of its stock, responding to calls from shareholders to put its cash to work. It can be difficult to describe how to get from here to there, so the Business Journal road-tested local folks' knowledge of their city. National Technical Systems releases quarterly results, Computer Sciences Corp. buys the shares of CSA Holdings Ltd. it doesn't already own for $42.7 million, and other briefs about L.A. companies. The Federal Trade Commission on Friday cleared the way for Chevron Corp. to acquire Unocal Corp. for $18 billion, voting 4-0 to settle a complaint against Unocal alleging anticompetitive practices. For the second straight month, gasoline prices in LA. moved lower, but local prices may bottom out soon, said the Automobile Club of Southern California. Stocks finished mixed on Friday. Technology stocks fell after Intel Corp raised its second-quarter outlook by less than some analysts had hoped. El Segundo-based Be Media agrees to be acquired by Magic Media Networks Inc., Cogent Systems wins a $34 million contract for an I.D. program in Morocco, and other briefs about L.A. companies. The U.S. trade deficit rose 12 percent in April to $56.96 billion, reflecting a surge in oil imports to the second highest level on record, the government said Friday. Six L.A.-area hotels voted to lock out workers after Unite HERE Local 11 called a strike at the Hyatt West Hollywood in a dispute over health care payments. The lockout takes effect at midnight on Saturday. Citigroup Inc. said on Friday it will pay $2 billion to Enron Corp. shareholders who accused it of helping the energy trader in a massive accounting fraud. The number of people who could afford to purchase median-priced homes in the L.A. region decreased sharply in April from the year-earlier period, the California Association of Realtors said. CarsDirect has acquired 1-800 Communications in an effort to expand its loan options for people with low credit ratings, the El Segundo-based Internet car-shopping service announced Thursday. A third Fleishman-Hillard Inc. executive was charged today and pleaded guilty with participating in a scheme to overbill the city in a $3 million-per-year contract with the Department of Water & Power. Crude oil futures rose Thursday on concerns about refinery disruptions due to Tropical Storm Arlene and as traders looked ahead to next week's OPEC meeting. There were 8.3 million people worldwide with $1 million or more in financial assets at the end of 2004, up from 7.7 million a year earlier, a report said. Fed Chairman Alan Greenspan said Thursday that with the U.S. economy on a "reasonably firm footing" and underlying prices tame, policy-makers should be able to raise interest rates at a measured pace. Stocks rebounded Thursday, helped along by a positive view of the economy from Fed Chairman Alan Greenspan and anticipation of good results from Intel's business update. Chevron Corp. and Unocal Corp. said on Wednesday they had reached a proposed settlement of antitrust charges over gasoline patents with the Federal Trade Commission. Changes to the PierPass program, which is designed to reduce truck congestion at local ports by shifting cargo pick-up hours, leave no funds to pay truckers incentives to work port duty at night. UTI Worldwide Inc. reports first-quarter results, Northrop Grumman Corp. is awarded a five-year contract with NASA valued up to $200 million, and other briefs about L.A. companies. Oil prices dipped below $53 a barrel on Wednesday after a rally sparked by a drop in supplies fizzled and brokers locked in profits from a recent runup. Northrop Grumman and the parent company of Airbus agreed to join forces to try to break Boeing Co.'s monopoly on supplying refueling planes to the Pentagon, The Wall Street Journal reported. Stocks slid Wednesday after a lower 2005 GDP forecast from the Bush administration dampened investors' enthusiasm over positive corporate news and lower oil prices. Billionaire investor Kirk Kerkorian's Tracinda Corp. on Wednesday boosted its stake in General Motors to 7.2 percent after it purchased 18.9 million shares as part of a tender offer launched last month. Korn/Ferry International and North American Scientific release quarterly results, Disney acquires UK-based game developer Minds Eye Productions, and other briefs about L.A. companies. Inventories at U.S. wholesalers rose 0.8 percent in April, double analyst expectations, as automotive stocks swelled, government data showed on Wednesday. Barry Diller's IAC/InterActiveCorp said Wednesday it sold its 5.4 percent stake in Vivendi Universal Entertainment to NBC Universal for $3.4 billion. Oil prices sagged below $54 a barrel Tuesday as the buying frenzy for heating oil eased. The Pasadena City Council on Monday night withdrew the Rose Bowl from contention to host a future NFL team, leaving the L.A. Memorial Coliseum and the city of Anaheim as the remaining two sites. Western Digital Corp. will replace Caesars Entertainment Inc. in the S & P; MidCap 400 after the close of trading on June 13, the agency said. Disney President Robert Iger said the company has opened talks to extend an agreement with Pixar to continue distributing films made by the computer-animation studio, Bloomberg News reported. Stocks reversed early gains Tuesday after Federal Reserve officials sent mixed signals on when the central bank will finish raising interest rates. Apria Healthcare Group Inc. said it hired Morgan Stanley as a first step toward possibly being acquired, sending its shares surging more than 15 percent. Tracinda's offer to purchase up to 28 million shares of General Motors Corp. stock expires without a word, Cherokee and Virco Manufacturing report first-quarter results, and other briefs about L.A. companies. Stocks gave up substantial early gains and staggered to a mixed finish Tuesday after a Federal Reserve official warned that interest rates might continue to climb. General Motors plans to eliminate 25,000 jobs in the U.S. by 2008 and to close plants as part of a strategy to revive its struggling North American operations. China's biggest offshore oil producer, CNOOC Ltd., said on Tuesday it was still looking at buying Unocal Corp., putting it back in contention with Chevron's $16.4 billion bid for the El Segundo-based producer. L.A. County visitors paid nearly $126.87 to spend a night in a hotel room this April, up nearly 10 percent from the same month last year, according to data released Tuesday by PKF Consulting. On the Santa Monica Promenade, it's tough to strike the right balance between the major chains and the unique boutiques. Doug Dowie, former general manager of Fleishman-Hillard's L.A. office, pleaded not guilty on Monday to charges he over-billed the city on a $3 million annual contract with the Department of Water & Power. What are investors to do when a high-growth stock hits a new 52-week high even as insiders have started selling off shares? That's the question being posed about CB Richard Ellis Group Inc., whose share price has doubled since coming public a year ago. This week marks the five-year anniversary of Tribune Co.'s $6.4 billion purchase of Times Mirror Co. a deal that hasn't worked out as well as expected. Talk about re-regulation of the utility business. An initiative almost certain to be on the next statewide ballot would ban most businesses from leaving their utility in favor of independent providers and the state's major manufacturers are fuming. A disparate group of faculty, students, union representatives and activists has petitioned Santa Monica College, asking it to "reconsider" having Gov. Arnold Schwarzenegger speak at the 2005 commencement ceremonies. Workers at Coca-Cola bottling plants in Southern California returned to work following a two-week strike after members ratified a five-year contract over the weekend, a union spokeswoman said. As Con Howe leaves his post as L.A.'s top planning official, he looks back on the flexibility he helped promote and some of the challenges he faced. New stadiums and convention centers are going up across the nation Boston, New York, San Antonio among them thanks to generous taxpayer subsidies. In the post-Enron era, forensic accountants are increasingly called upon to untangle complex knots of corporate dishonesty. The Angels are not the only thing that is "officially" part of L.A. According to government bureaucrats, Orange County itself is now part of the metropolitan area that also includes Los Angeles County. ProLogis has agreed to buy rival real-estate investment trust Catellus Development Corp. for $3.6 billion in a cash and stock deal that will create the largest network of warehouses and distribution services. While Dallas, Houston and Chicago have shelled out millions of dollars in public money to help pay for and attract large developments and sports stadiums, L.A. has been able to get private developers to foot most of the bill. For L.A. visitors looking for a deal, here's a hint stay at an airport hotel. These hotels haven't been soaring despite airport travel rebounding to levels not seen since before 9/11. A large telecommunications company that was close to winning a contract for the city of Los Angeles is complaining of interference from a City Council committee. Washington Mutual Inc. on Monday agreed to buy credit card issuer Providian Financial Corp. for $6.5 billion, expanding its focus on middle-market consumers. L.A.-area gas prices continued inching away from record levels, dipping nearly 4 cents a gallon last week, according to the federal Energy Information Administration. With original video games becoming a new source of Hollywood movie ideas, game creators are finding they have something in common with script writers: allegations that their ideas for movies have been stolen. A subsidiary of Teledyne Technologies Inc. agreed to buy Cougar Components Corp. for $26.5 million, S & P; may raise Northrop Grumman Corp.'s debt ratings, and other briefs about L.A. companies. As newly appointed CFO of PierPass, formed to manage the off-peak gate hours at the Port of Los Angeles and Port of Long Beach, Thomas Stephenson becomes a key member of the Southern California shipping world. Ties between the video game and entertainment industries have forced Hollywood and Seattle to work together: Seattle became fertile ground for video game developers, while Hollywood has always been the world's movie capital. In another blow to the local hotel coalition, downtown's Millennium Biltmore Hotel will no longer oppose the efforts of a union to line up a contract with cities across the country. Former Columbia executive Herman Rush envisions a universe in which every cellular telephone, personal digital assistant and laptop computer effectively doubles as a television set. Apple Computer Inc. announced plans Monday to switch its Macintosh computers to the same Intel Corp. chips used in systems that run Microsoft Windows. Billionaire Los Angeles investor Ron Burkle has managed to avoid a bidding war for Pathmark Stores Inc. because the grocery chain's board doesn't want a buyer to come in who will close and sell ailing stores. Changes to the PierPass program leave no funds to pay truckers incentives to work port duty at night. Sam Atwood, spokesperson for the AQMD, describes the application process required for a small business that uses certain chemicals or equipment that emit air contaminants. The Paris Hilton spot promoting Carl's Jr.'s spicy burger is just another example of Mendelsohn Zien's modus operandi: pushing things to the edge, while trying not to fall off. Blogs have gone from the cutting edge to the mainstream in the space of a few months. Before, they were used for self-expression; today, they're marketing tools for corporations and law firms. Delaware Chancery Court judge refuses to dismiss a lawsuit alleging the Walt Disney Co. committed fraud in conducting its search for a new chief executive, saying the case may have merit. CIM Group Inc.'s principals always thought that their Sunset Tower building was going to become red-hot when they were able to convert the high-rise into condominiums. What they didn't have in mind was the roof catching fire. A study showing that L.A.'s living wage ordinance has raised pay for only 10,000 workers points up how small a dent has been made in the effort to address the needs of low-income earners. Researchers at UCLA are trying to find a way to individualize DVDs in order to prevent them from being shared, swapped or pirated. Stocks rose slightly on Monday after a wave of big mergers seemed to offer some comfort for investors and oil prices moved back from a six-week high. Pentadyne is poised to spin into a period of significant growth thanks to its high-speed flywheel technology, which provides seamless backup power with no interruptions. The region is a leading force in the biotechnology sector, but owes the distinction to the presence of Thousand Oaks-based Amgen. One of few contractors able to build refineries and other massive projects, Jacobs Engineering benefits from the high price of oil and resulting investments in extraction. Crude oil futures fell nearly $1 a barrel Monday in what appeared to be profit-taking following last week's sharp advance. Employers added only 78,000 workers to their payrolls last month, the weakest job growth in 21 months, the government said Friday, fanning worries on Wall Street over a slowing economy. L-3 Communications Holdings Inc. on Friday said it would buy Titan Corp. for about $2 billion in cash, expanding its reach in defense-intelligence services. Business activity in the services sectors of the economy increased in May, though at a slower rate than in April, the Institute for Supply Management reported Friday. Despite a record number of drivers making Memorial Day getaways, motorists in L.A. paid less at the pump for the seventh consecutive week, said the Automobile Club of Southern California. Univision Communications names Andrew W. Hobson its new CFO, Occidental Petroleum is cleared by the FTC to purchase the chemical assets of Vulcan Materials, and other briefs about L.A. companies. For Los Angeles visitors looking for a deal, here's a hint stay at an airport hotel. The average daily LAX-area room rate inched up just 1.5 percent to $78.27 in the January-March quarter. Crude oil futures rose above $54 a barrel Friday, following a brief cool-down in prices after a U.S. government report showed swelling stockpiles in crude and other fuels. Stocks fell on Friday after a government report showed the slowest job growth in nearly two years, sparking investor worry about the health of the economy, and crude oil prices topped $55 a barrel. President Bush on Thursday named Rep. Christopher Cox, a conservative veteran in Congress with wide-ranging policy interests, to lead the Securities and Exchange Commission. DreamWorks Animation SKG Inc. faces its first shareholder lawsuit since going public, Big 5 Sporting Goods Corp. delays a potential delisting for now, and other briefs about L.A. companies. Productivity rose at an annual rate of 2.9 percent in the first three months of this year, but was accompanied by the biggest weekly increase in jobless claims in 14 months. The price of oil gyrated on Thursday after the U.S. government released data that showed a growing domestic supply of gasoline, but also rising demand. Hilton Hotels Corp. signed a licensing agreement with Starbucks that will enable selected Hilton, Doubletree and Embassy Suites Hotels to operate Starbucks-licensed stores. Gemstar-TV Guide International Inc. and Scientific-Atlanta Inc. signed licensing agreements late Wednesday to grant each access to the other's interactive program guide patents. Stocks ended higher on Thursday, as merger activity gave the tech sector a lift, offsetting a report about higher labor costs that sparked worries about inflation and further interest-rate hikes. The former general manager of the PR firm's Los Angeles office is accused of submitting more than $300,000 in fraudulent bills to the Los Angeles Department of Water and Power. The city of L.A.'s living wage law has boosted wages for thousands of workers while leading to minimal layoffs by companies subject to the city's ordinance, according to a study released Thursday. U.S. retail sales rose modestly in May as discount and some teen-oriented retailers reported growth even as weather in parts of the country slowed spending on seasonal goods. Sun Microsystems Inc. said Thursday it agreed to buy Storage Technology Corp. for $4.1 billion in cash, bolstering its presence in the market for data storage. Construction spending rose 0.5 percent in April, as office construction surged and activity in the housing market hit an all-time high, the government reported Wednesday. Kirk Kerkorian's Tracinda Corp. won't raise its offer past $31 for GM common stock, Big 5 Sporting Goods receives another non-compliance notice from the Nasdaq, and other briefs about L.A. companies. California Insurance Commissioner John Garamendi on Wednesday called on insurers to reduce their workers' compensation premium rates by 18 percent. Pending sales of existing U.S. homes rose to a record in April, suggesting home sales in May and June could hit new highs, said the National Association of Realtors. Reliance Steel & Aluminum Co. agreed to acquire closely held Chapel Steel Corp., a processor and distributor of carbon and alloy steel plate products. Stocks rose Wednesday after a manufacturing report eased inflation concerns and a Fed official suggested the next interest rate hike could be the last but oil prices jumped, limiting gains. U.S. chain store sales slowed in the last week of May, as cool weather curbed the sales of seasonal goods, a report said on Wednesday. Time Warner's pending role on the local cable scene brings with it commitments of improved service and programming, as well as a formidable political force on the L.A. landscape. Yucaipa Cos., the L.A.-based investment vehicle of billionaire Ron Burkle, got permission from the board of Pathmark Stores to drum up support for its planned investment in the grocery chain. Crude oil futures climbed Wednesday, as some investors' expectations for the next U.S. inventory data report were already factored into the market. U.S. manufacturing activity expanded in May for the 24th consecutive month, but the rate was slower than in April, a private research group said Wednesday.